It is the only system that incorporates a hook and a swivel into the same mechanism. The hook works automatically locking/unlocking is done by acting on the tension of its halyard.? 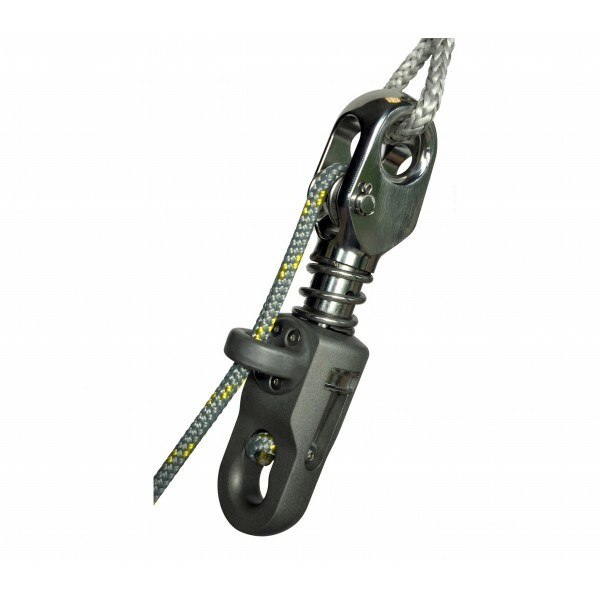 The hook mechanism allows to lock the swivel to the point of sailing directly on the mast halyard. The hook works automatically locking/unlocking is done by acting on the tension of the halyard. Used for flying sails (staysail, gennaker, tormentine, code O, Genoa), it replaces advantageously the pulley for hauling system. Sailing is then étarquée by a hoist located under the lower part of the emmagasineur. The advantage of this system is to reduce the halyard compression in the mast, relieve the halyard and the blocker. ?